Rotherham United held a Fans’ Forum this evening at the New York Stadium with Chairman Tony Stewart, Manager Paul Warne, Jamie Johnson Head of Recruitment, Steve Coakley Commercial Director and Paul Douglas Chief Operating Officer on the top table alongside Mark Thomas of the Millers Trust who was directing the questions. Paul Warne was much in demand at the meeting and couldn’t emphasis enough how much the fans influence had on the players. He asked for all the fans to be positive and not let negativity get in the way of enjoying watching Rotherham United. When asked about recruitment Jamie Johnson took the mic saying that a player was watched at least five times before the Millers took it further. While the meeting took place both Warne and Johnson were constantly on their ‘phones looking for updates of a player they are hoping to get in tomorrow (Friday). The topic of the Guest and Chrimes building, or what is left of it after the fire, raised it’s ugly head with Mr Stewart saying he was in talks with both the Council and English Heritage about it though progress was slow. Warne spoke about the youth policy at the New York Stadium saying he’d been in a meeting earlier talking to parents of players who were joining this season. 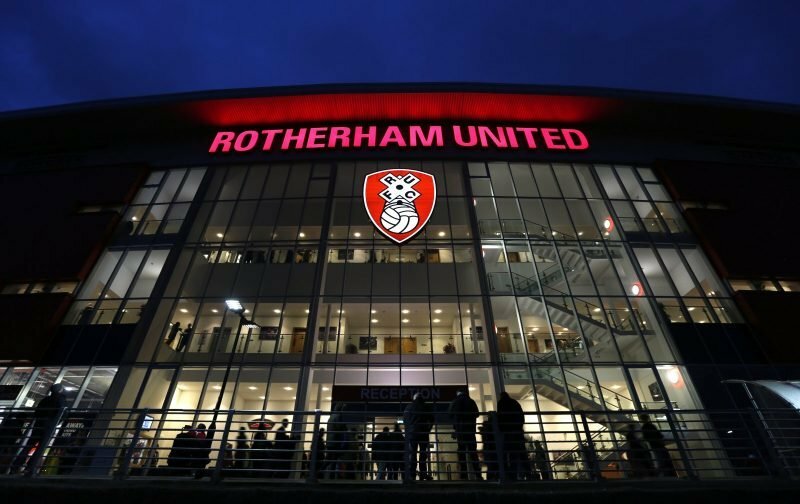 He believes in having a good youth set-up at Rotherham saying there are a couple of really good players waiting for the step-up at the moment. Breaking news from the meeting was that we are having a new big screen (it got a smattering of applause too). They are trying to put running repairs to the old one that seemed to finally give up the ghost against Millwall and hope to have a new one up and running within five weeks. OK, we might not have learned anything from the meeting but one thing you know when Paul Warne is in the room is that you will have had a laugh and a good time – he even gave us a little song as the ten minute break came to a close! So a player expected tomorrow. Who will that be. Before the meeting I would have said it was going to be Ryan Yates from Nottingham Forest who has been heavily linked with the Millers this week but reading between the lines I’m not so sure that we have given up on Richie Towell, who helped us get to Wembley last season, yet.